The growth of inequality in all sphere of life begins in the workplace. Since the neo-liberal offensive of the mid 1970s the proportion of national income going on wages compared to profits has declined dramatically. This is part of a well-thought-out strategy by the ruling class which involves escalating rates of sanctioning of those seeking Job Seekers Allowance, which has considerably worsened since the 2013 introduction of the Universal Credit system. Benefit sanctions rose from 7.02% in 2001 to 16.68% in 2014. The Independent reported on 13 April that Alice Kirby, a 25-year-old physically disabled person, was asked by disability benefit assessors why she had not killed herself. Alice said she was shocked to discover how many other people had been asked similar questions as part of assessments, adding: “Some people told me that when they answered saying they felt suicidal or had attempted suicide, assessors said things such as ‘that’s understandable’. This really is a shocking story. Benefits assessors asking mentally disturbed claimants why they have not killed themselves, obviously to prove conclusively they really are mentally disturbed and not making it up to free load on the system. One outright fascist character asked for details of how the suicide was planned when a claimant said he or she was suicidal. Bloody Brigitte comes to mind as a product of this appalling benefit sanctioning game. Bloody Brigitte was Hildegard Lächert, an Austrian wardress at Majdanek KZ, one of those notorious death camps the German SS ran between 1941 and 1944. Capita and Atos, the firms who carry out this privatised work, will get more than £700m for this appalling treatment of physically and mentally disabled claimants. 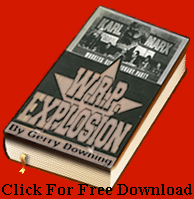 There will always be firms to do the dirty work of the capitalist class. The list of those who worked slave labour and the death camps for the Nazis includes Kodak, Hugo Boss, IBM, Bayer, Siemens, BMW, Audi,. Daimler-Benz and Deutsche Bank. But employment is no longer a route out of poverty. The latest UK’s jobless rate has dropped to just 4.7%, the lowest since 1975, but zero-hours contracts have increased by 101,000 in the last quarter of 2016 to 905,000 compared with the previous year. This super-exploited sector has seen a series of strikes and court action to challenge this and the agency system which enforces it. Deliveroo takeaway couriers and cinema workers have conducted a series of strikes for a living wage and union recognition. Workers at Picturehouse cinemas have struck work many times since 2014 over union recognition and its refusal to pay the London Living Wage to its staff. 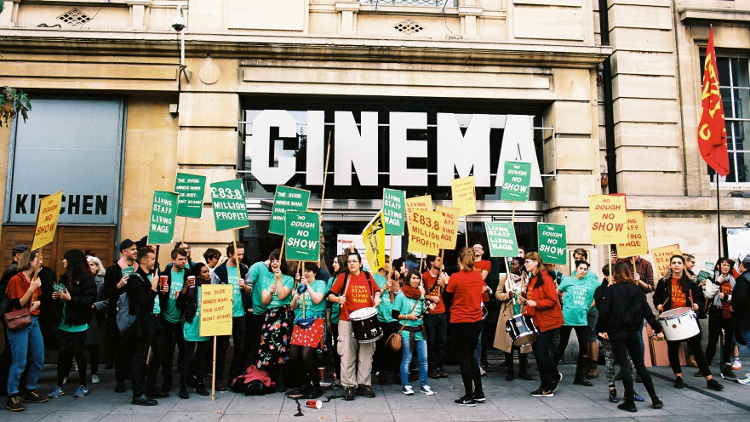 The recent strikes in five Picturehouse cinemas in London in March were the biggest strike action ever by cinema workers in the UK. The UK’s General Election is on 8 June and workers have no choice but to cast a class vote for the Labour party but be prepared to follow the example of the Picturehouse cinemas. Anyone considering casting a vote for Liberal Democrats as a ‘soft’ alternative to the Tories should bear these above statistics in mind.